100 ft PARK is pleased to present the exhibition "Crafting Sky" from 24 May to 16 June 2013. On display is a set of installation work co-created by artist Sim Chan and architect Stanley Siu. As a continuance of the SimKites Series, Sim Chan collaborates with Stanley Siu to explore new perspectives in seeing three dimensional spaces and attempt to break through the limitations of two dimensional paintings, integrating architectural design and art creation to experiment new angles in understanding and perceiving space and volume. Works of Sim Chan have been full of architectural elements, from the source of inspiration to the composition of his works, as well as the hand-made skyline silhouette wooden mounts. All these involve accurate calculation and knowledge in geometry which allow Sim to depict the ever-changing sky in a mathematically logic way. Stanley Siu has found the common grounds between art and architecture in Sim’s works – the urban context, massing in architecture, city’s boundary and skyline. With the application of computer modeling programme, Stanley designed three dimensional forms of irregular shapes for Sim’s paintings. The work of a set of three on display, in cubic meter as their volume unit, depicts the sky and clouds in different time of a day. Details of architecture are not presented but only the contour is delineated. The sky is carried, sectioned and shaped. Under different viewing angles, the contour of the three dimensional work and the lines in the painting work together and subtly lead to new possibilities in reading two dimensional surfaces. Viewers are inspired to observe and understand space from various points of view. Sim Chan graduated from Hong Kong Art School majoring in Painting. He was selected as one of the nominees for the Sovereign Asian Art Prize in 2011. He was awarded “40under40” global creative talent by Perspective Magazine in 2013. Sim’s works have been exhibited widely in Hong Kong and Asia. Recently, he was commissioned to create a public art installation at the Jockey Club Atrium of the Hong Kong Arts Centre. Stanely Siu grew up and studied in New Zealand and graduated from Department of Architecture. He returned to Hong Kong after graduation and has been practicing in architectural design. Participated projects are in Hong Kong and China. Stanley has a great interest in Arts and hopes to connect art with architecture. He participated as a team in 2011 – 2012 Hong Kong & Shenzhen Bi-city Biennale of Urbanism / Architecture showing the work Sugar Treasure. 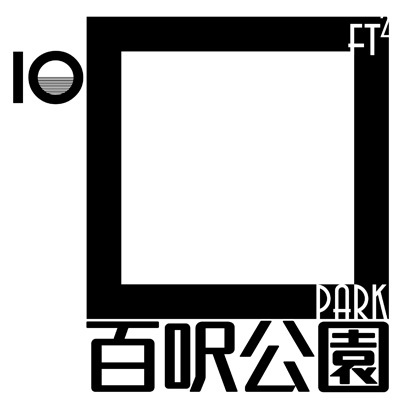 100 ft. PARK is a non-commercial mini art space founded by three art practitioners. We aim to exhibit works in all media in a small space of 100 square feet. Through exhibiting works, we hope to be a hub for art-lovers and provide an open platform for artists to share their creative thoughts. We welcome your exhibition proposals to publish works in our space. Make use of the junction to communicate with audience and to exchange ideas with the art industry.